Learn more in just 90 seconds! A modular brand independent system developed to meet the stringent demands of industrial environments that helps to ensure safety on the workfloor, provide real-time management information and reduce the total cost of ownership of industrial vehicle fleets. Through a modular setup of the hardware and software the OptaFleet system is suited to work on industrial vehicles of every make, model and drive type. 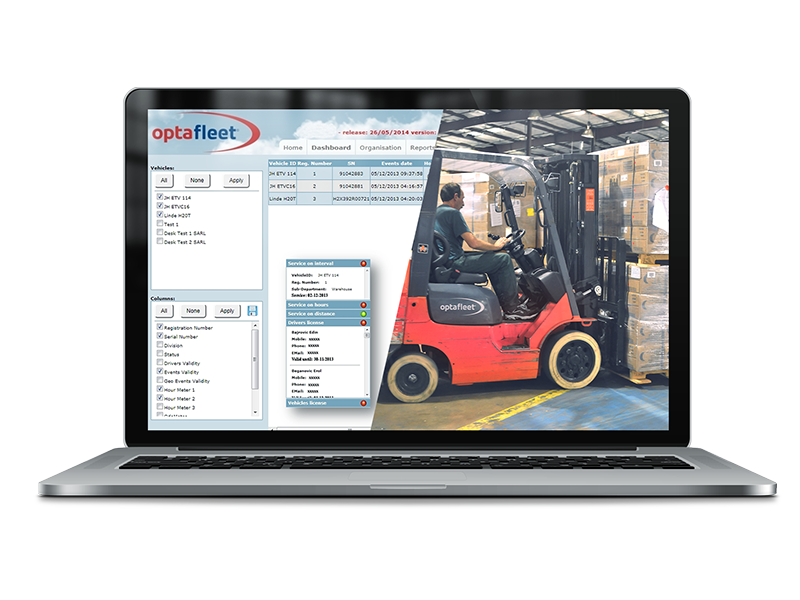 From warehouse forklift trucks to heavy construction equipment OptaFleet offers a broad range of possibilities to manage industrial vehicle fleets. Access control, flexible event detection possibilities and wireless bi-directional communication are some of the key features of this newly developed fleet management system. For more information about the possibilities of our products please feel free to contact us.